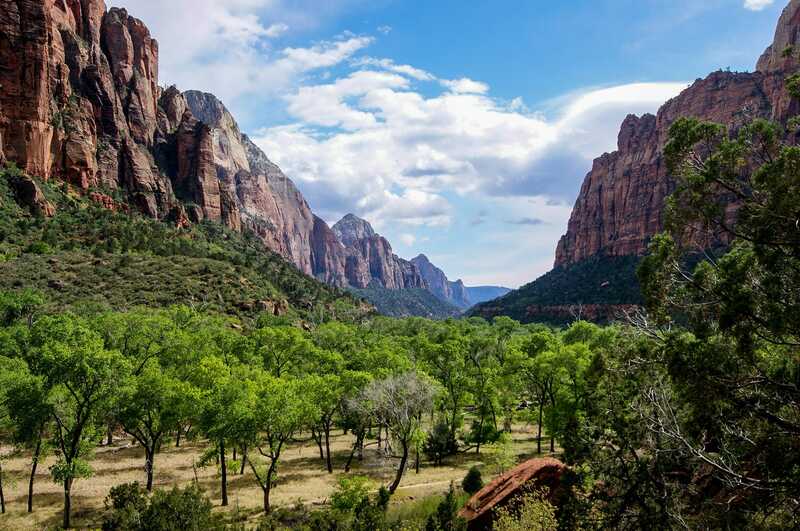 Exploring Zion National Park is something every out-door enthusiast should put on their bucket list, but we think if you really want to have the full experience you should go camping at one of the many locations the park and surrounding areas offer. Whether you are an avid mountaineer, RV traveler, or strictly into Glamping, Zion has a spot for you. Here is a list of our favorite spots when we are exploring the park. Did you become an eagle scout at age 13? Maybe you backpacked through Europe in college spending more than one night underneath the stars. If you are experienced and enjoy “roughing it” you will love camping in Zion. The park has three official camp sites inside the park, South Campground, Watchman Campground, and The Lava Point. There are several campgrounds only a short drive from the park if these sites don’t work for your family. South Campground is located ½ mile from the South entrance of the park. Campsites cost about $20 and range upwards if it is a large group site. There are over 100 campsites (including a few wheelchair accessible) but they are only available on a first -come first- serve basis. Campsites fill up during the early hours of the day and it has been noted that campers will start coming to claim spots as early as 5:30AM. There are no RV hookups available at this location, so this spot is primarily for tent camping. Watchman Campground is located only a short ¼ mile from the South entrance of the park. A great feature of this campground is you are able to reserve a spot in advance online. This site is primarily occupied by reservations from March to November, but with it’s 176 campsites it has been known to accommodate a few last minute travelers. This ground does provide RV hookups but there is limited access so be sure to book early. Campsites here range from $20-$130 depending on how many tent spots you need and if you need electric hookups. The Lava Point Campground is about an hour and twenty minutes from the South entrance of the park and only provides six primitive campsites. These grounds are easier for tent camping but people have been known to take their RV as well. Lava point provides pit toilets but no running water. This is a first-come, first-serve, basis campground but provides a truly spectacular experience of camping in Zion. There is no fee for this campground and it is well secluded from any other campground providing a quite evening in nature. If you are making your first trip to Zion, it may be easier to find a campsite outside the park. There are also several grounds that include running water, showers, and convenient RV hookups just outside the park gates. This campground is located just outside the South entrance gates in Springdale, Utah within walking distance to the official Zion National Park visitor center. It is just next door to the Quality Inn (which is under the same management) this means campers can enjoy laundry facilities, pools, and showers. 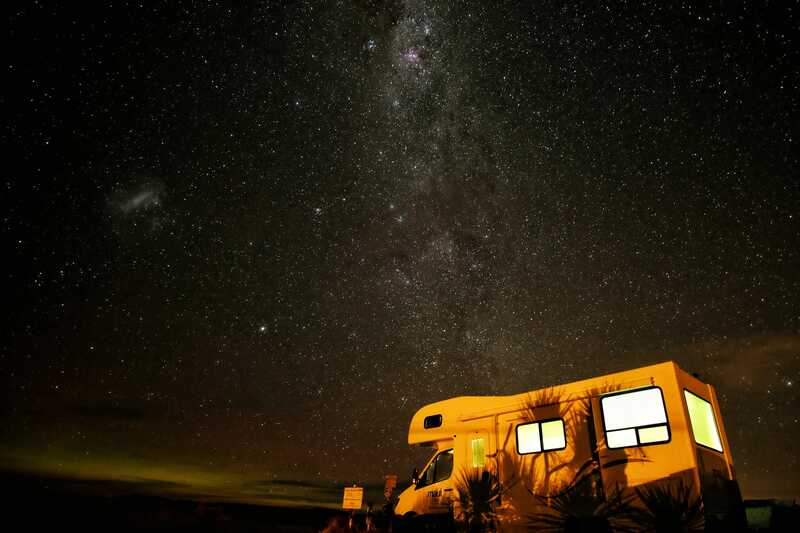 There is specified areas of the campground just for tent campers and spacious areas to park your RV. Zion River Resort is really popular for RV’s it is about a 20 minute drive from the Park but provides luxurious amenities such as paved parking, fire pits, well maintained landscape and even WIFI! If you don’t want to drive yourself to Zion the site offers shuttles to the park for a nominal fee. This is a great spot for families who aren’t experienced campers. The Bureau of land management also offers several campgrounds in the Southern Utah area. BLM land can range from manicured campgrounds to back country deserts, where the only noise you will hear is from the wildlife. Most sites on BLM land are free to stay at, or only charge a very small fee for the night. Click Here to see what areas they currently have available. With any campground you stay at, please be responsible and make sure to clean up for the next person. Check campground rules to determine the best way to handle waste management, and be sure to check for fire restrictions before you camp. We hope you enjoy your time camping and have an even better time exploring the park. While you are in the area be sure to come ride with us and we will show you some reasons why we believe this corner of the world is worth your time. Have a favorite place to camp in the area? Drop us a message in the comments!